If you’ve been considering one of the new Volkswagen Atlas crossover SUVs but aren’t sure which of the dynamic trims is best suited your Evanston or Chicago commute, we’re here to help. Atlas S -The base trim features a 2.0L turbocharged 4-cylinder engine that delivers 235 hp. You’ll also get VW Car-Net App-Connect, LED headlamps, and dual-zone climate control. Atlas Launch Edition – Equipped with a 3.6L V6 engine that delivers 276 hp, this trim offers a power tilt-and-slide panoramic sunroof and satellite radio. Atlas Launch Edition with 4MOTION – This trim adds 4MOTION all-wheel drive technology for better control and improved handling. Atlas SE – The SE trim gives drivers access to four USB charging ports, a composition media touchscreen sound system, blind spot monitor, and rear traffic alert package. Atlas SE with 4MOTION – Includes SE amenities such as the available second-row captain’s chairs for passenger comfort and adds the 4MOTION AWD system for better handling. Atlas SE With Technology – Continues to enhance the SE trim with features like remote power liftgate with closing assist, Climatronic three-zone climate control, and front assist system. Atlas SE with Tech and 4MOTION – Combines all the best features of the previous two trims for the right combination of technology and performance for Chicago drivers to enjoy. Atlas SEL – Adds adaptive cruise control, 10-way power front seats for driver and front passenger, and the power-tilt and slide panoramic sunroof from previous trims. Atlas SEL with 4MOTION – Adds 4MOTION AWD to the mix, as well as the extras available to the SEL including 20-inch black Mejorada wheels and R-Line appearance package. Atlas SEL Premium with 4MOTION – All the features from the SEL with 4MOTION plus the Volkswagen Digital Cockpit system and innovative Discover Media touchscreen navigation system. 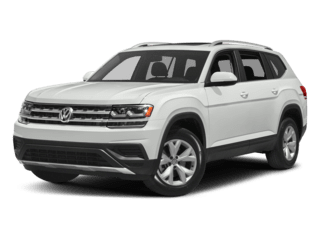 Now that you’re familiar with the various Volkswagen Atlas trim levels on our Glenview lot, then contact a Jennings Volkswagen associate to schedule a test drive and see how much better car buying can be.